Coat hangers, beehives, and people punching trees, are strange fixtures to find in a garden; but the Luxembourg Gardens are in no way ordinary. These three spectacles are just some of the few interesting things within the park. But walking quickly or jogging on the gravel paths, one can easily miss these sights. 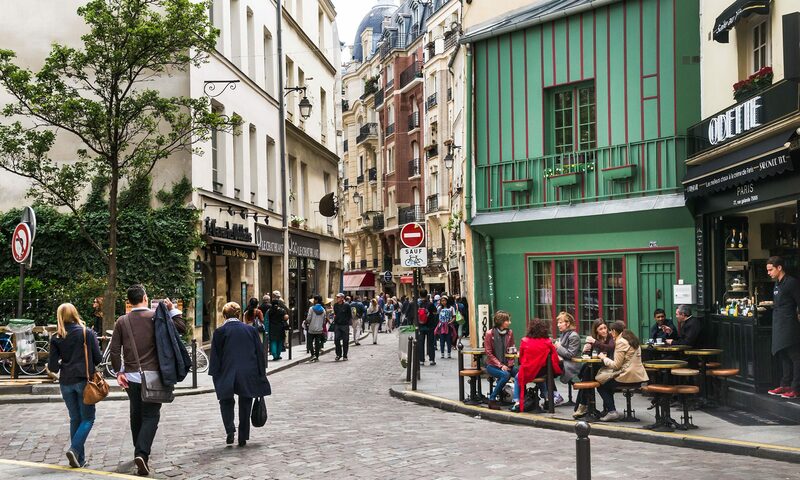 To see beyond the rocks and trees, one must become an idle French stroller, a flâneur: calm, and lax, but attentive to even the finest details. To an American, seeing two long coat racks and tens of hangers in a park, is an anomaly; but for the French, this is commonplace. These amenities are a resource to the tens of men who come to play the game pétanque in the center of the park. This game is a twist on American bowling, and it is one of the top ten most popular sports in France. Most of the competitors in the gardens are men in their seventies, who spend their afternoons participating in tournaments for mild fame and a few euros. “It’s my favorite thing about retirement,” says retired doctor Yves Vichey, 73. Vichey says that the players warm up quickly. Coats usually come off within the first few tosses, and the coat racks provide the easiest fix. “The existence of the racks is almost as important as the balls in the game. Without them it would be hard to play,” he says. 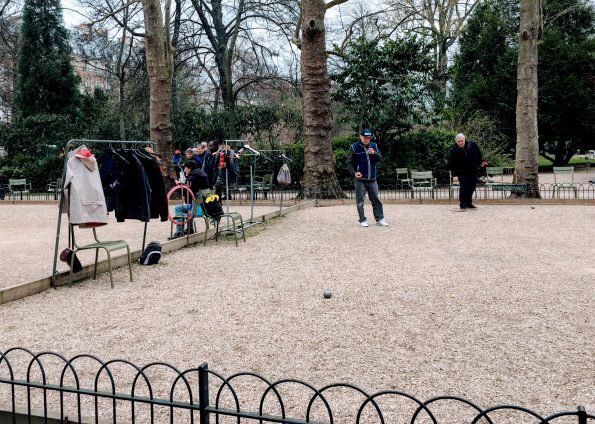 Of course, pétanque is just the beginning of the magic of the gardens. Just past these courts, one young man punches a tree with thick gloves, while another fills garbage bags with sand. From afar, it is difficult to notice that on the tree there is a punching bag, and that the man in the sandpit is filling the bags to anchor his gym equipment. From afar, these people seem odd, but approaching them brings their actions into perspective. On the far-right corner of the gardens lies another strange sight: a pile of little brown boxes on a patch of gravel. These are beehives which once housed and raised hundreds of bees. But stacked on top of each other, these wooden squares no longer contain bees, and the sign in front of them does not explain why. Asking the gardeners will reveal that the decreasing number of bees in Paris has temporarily exiled them from this home to find refuge in a safer place, sending them elsewhere to seek refuge. So, what is the secret to finding surprises in the Luxembourg gardens? Discovering answers takes more than attention to detail: it requires initiative, asking the right questions, and pressing further when the answer does not suffice. By keeping both eyes open then, it is suddenly not only the coat hangers that begin to make sense.